Yessica Subias has been part of the community since middle school: volunteering with American Red Cross, feeding the homeless people and supporting youth at an after-school program for the low-income community. 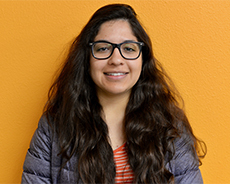 After attending and graduating from UC Santa Cruz with a Bachelors in Psychology, Yessica began working with autistic students implementing ABA, using one-on-one therapy to help over come social and academic challenges. After a few years, Yessica then began working with troubled youth with eating disorders and underlying mental illness. Yessica has a passion to help others and to support youth with mental health issues by using personal experiences that allow her to understand and relate with others.